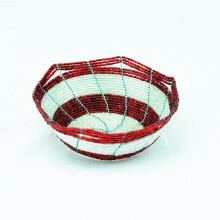 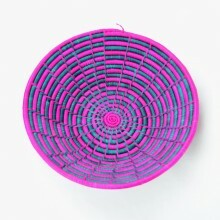 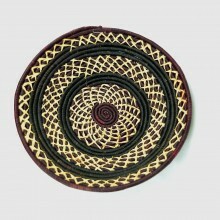 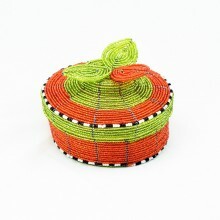 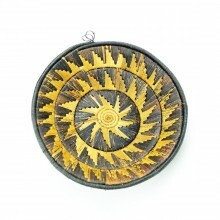 This lovely Maasai bead wire jewelry box was handcrafted by a skilled (and patient!) 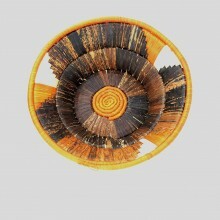 artisan in Kenya. 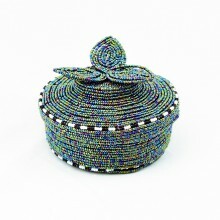 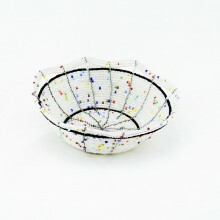 Each jewelry box is made up of thousands of glass beads, every one meticulously threaded onto wire. 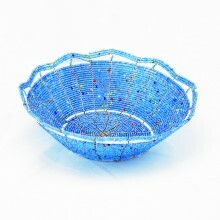 Using pliers, the wire was manipulated and cut throughout the beading process to create the desired shape. 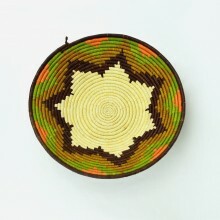 Maasai beadwork is colorful and symbolic. 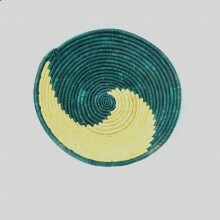 This jewelry box has 2 pieces--the basket and the lid. 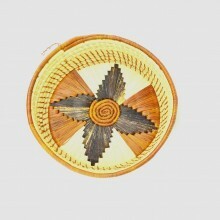 The lid features a beautiful leaf design. 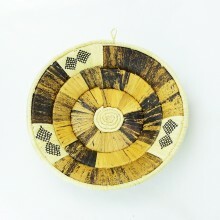 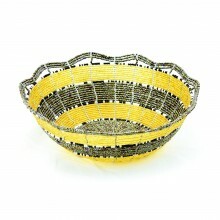 They can serve as a decorative pieces or to hold various items such as jewelry or sweets. 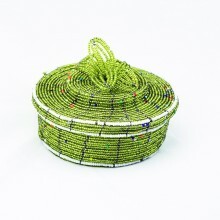 They also make unique and wonderful gifts! 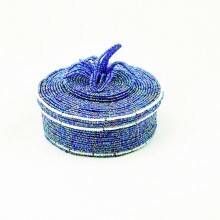 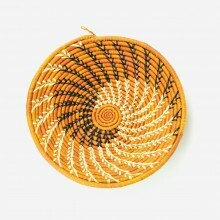 As each Maasai bead wire jewelry box is made by hand, every one is unique. If you do not receive the specific Maasai bead wire jewelry box you see in the photograph, the one you do receive will have the same color scheme and design as your selection.